Locked in with IUP, just what they need a playmaker on offense. Kid was a monster at Clairton, grades out of HS derailed him. His Twitter announcement is impressive. Another scholar is all we need. Hope that is fixed. One of RMU's best players, former Neshannock LB Frank Antuono, announced he's transferring to Westminster. That has to be about proximity. He's a great player so it seems strange to drop down to DIII. His dad was an All American and won a National title at Westminster in the 80's. Makes even more sense. Frank's a great kid. I'm sure he'll be great in the PAC. Refresh my memory ... why did Westminster briefly join the GLIAC and then leave after just 3 years? Was it a money thing? They, Geneva, and I believe Waynesburg were a few of the last local holdouts in NAIA. I imagine D2 was the logical move to stay scholarship in sports. I also assume that they ran face first into the Michigan schools and quickly cried "uncle". It was probably a finance thing: they couldn't keep up the scholarship discounting at the GLIAC level and realized their budget and profile better matched D3. I'm sure busing all the other sports all the way to Michigan was an issue. It's one thing to do it for football but thats a long way for tennis and lacrosse. You'd think they wouldve known that going in but being around Edinboro over the years its not a big shock if no one thought of that before hand. I think they only lasted 2 years. That was before the psac was letting the non state schools in. I think Westminster would be better than Seton Hill. I know at the least the old football alumni care...and it would be some of those old matchups from the 70's and 80's. 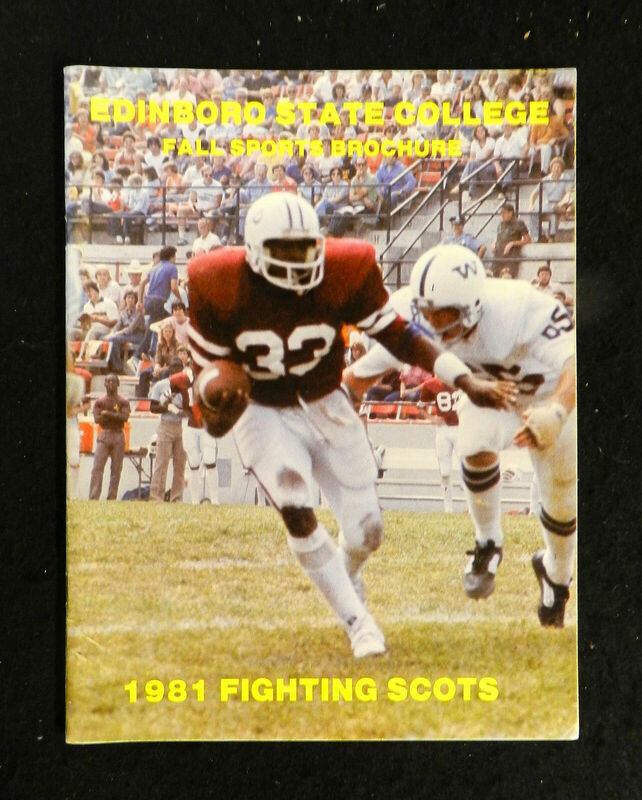 I think Edinboro played them in a playoff game in 1980? Last edited by EdinboroFB; 12-23-2018 at 08:19 PM. Grades are out. I was waiting for some bad news. I was impressed with their men's basketball team. They had some guys who could start for many PSAC teams. Have to see where he lands prior to calling it a stupid move. If he's starting for Grand Valley next year (or similar) it would be quite the contrary. I assume he wasn't getting a full ride at Boro so if a FCS school in the OVC or even CAA offers him a full ride and more national exposure I kind of get why he made the move. True it's a gamble but hey he could blow his knee out in summer camp at Boro and have no shot at the NFL so no matter what he has to make the best long term decision that will give him his best shot at getting noticed by scouts and improving his stock for a 2020 camp invite or possible draft slot. I agree with the above comment....that you can't call it a stupid move until after all the chips fall. In the end you could be right calling it stupid....but for right now calling it stupid is just something someone with Boro plaid blinders on might say. If I was playing Edinboro next year...with their QB situation....I would stack the box and make the QB beat you....which Fletcher might realize and try to avoid a down year statistically. No QB....no success. Unless your defense is lights out. Edinboro does not fit that description. Sure - but what are the chances that he'll land somewhere that gets him better exposure? He'll only get exposure if he's starting. Its not likely he'll land "upward" and still start. To get looks at any level below FBS you need gonzo stats. He had those at Edinboro. Another big year and he could win the Harlon Hill and be the all-time greatest at Edinboro. A legend. That most likely isn't happening wherever he lands. Sure it stings because I'm an Edinboro football fan, but how many times have kids been able to transfer up and succeed? Its rare. Its a huge gamble on his part. He probably believes he has nothing to lose and he's right. He just walks away from being a legend in a small pond for a *chance* to get a shot. In my opinion he's living the Lloyd Christmas "so you're telling me there's a chance" philosophy. I wish him the best. From what I've been told he's a great kid. But I'd never advise or recommend this move even if it weren't Edinboro losing out. Last edited by Fightingscot82; 01-10-2019 at 10:08 AM. Is it confirmed he's moving up? He could just be doing a lateral 'up' to a better program? Sure could. Hopefully he has some good football minds helping him find a program that fits him. Can't get the stats he needs at a program that will throw 60% of the time. Skill guys need crazy numbers to overcome the bias against "level of competition". Does playing at IUP next year do that for him? I don't think so. IUP arguably has a weaker schedule that Edinboro at this point given that Edinboro will be playing GV and IUP right now doesn't have a non-conference game.